This competition has now closed. You can read our review of the festival here. 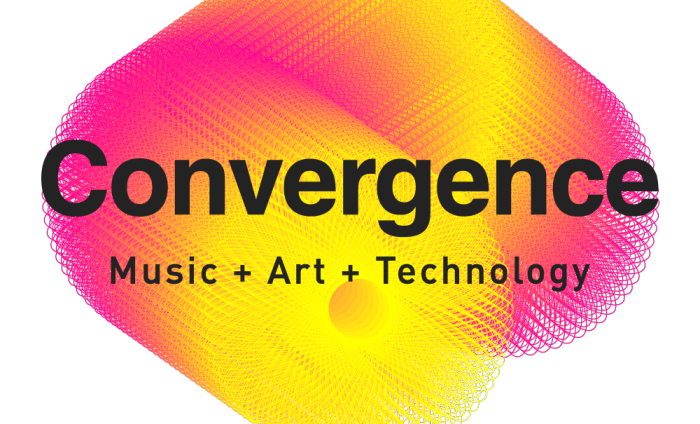 Birds singing, tubes getting stuffy, Crème Eggs melting in unfortunate places: it’s March, and that means Convergence festival is just around the corner. 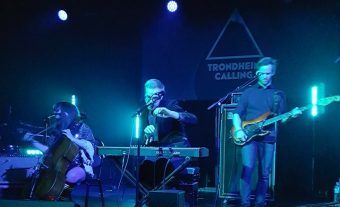 Back for a fourth year, this weeklong ‘triumph of the niche’ uses the nicely broad umbrella of music, art and technology to bring together all sorts of pioneering musicians and artists (and… technologists?) for a host of special performances and sessions. So before the evenings truly draw out, it’s time to spend the final dark nights of the winter hidden away in some of London’s most pleasing venues, awash in sound and visuals. The week begins at Village Underground, by now a traditional Convergence stomping ground. It’s great to see Rival Consoles opening there again after accompanying Clark a couple of years ago; his analogue synth experiments ricocheting around Village Underground’s exposed brick archways will no doubt throw down the gauntlet for the acts to follow. It’s worth getting there in time to see Noga Erez, who’s bringing her fearless Tel Aviv electro-pop to East London for the night. Three explosive tracks see her total Spotify offering come in at under 10 minutes. But swaggering single ‘Toy’ alone should be enough to get you excited about what else Erez has up her sleeve. ***The Convergence attendee who wishes for their faith in America to be restoredThough American politics may be sliding further into the dark ages with each passing week, Wednesday night’s line up at KOKO shows electronic music Made In The USA is marching forwards. Daniel Lanois will be spinning out sweeping soundscapes on pedal and lap steel guitars in a solo performance of his new album Goodbye to language – and hello to a non-verbal state of euphoria most likely. I’ll be making a beeline for the barrier for this set: a necessary precaution against keeling over in the trance state that Lanois threatens to induce. Earlier in the evening we’ll be treated to the sparse electronica of Dawn of Midi: don’t expect to hold on to one of their rhythms for more than a few seconds before it twists out of your grasp. Do expect to be completely mesmerised. ***The Convergence attendee who wishes to challenge their ears in a mildly punishing wayThe last time I came across Squarepusher was in the throes of a violent hangover at Primavera 2015. Suffice to say the set did not help matters. It’s worth taking a more responsible approach with Shobaleader One – Squarepusher’s live incarnation – at Convergence this year. 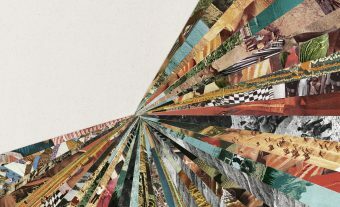 Schoolnight sobriety will be key to following new album Elektra’s intricate rhythms, jazz flourishes, and – let’s not forget – periods of Very Loud Noise. That said – they’re preceded by Flamingods, and you’ll struggle to resist the natural impulse to reach for a cider or two, given their Glastonbury-tinged psychedelic sound. Check out this year’s ‘Kewali’ and tell me you’re not transported to a sunny afternoon on Worthy Farm. ***The Convergence attendee who wishes for their art, music and technology infused with impassioned political statementsIf previous years are anything to go by, the Convergence curators have their fingers firmly on the global pulse of music with protest at its heart. Cuban/Angolan act Batida was an undoubted highlight of the 2015 festival, and though perhaps not the most obvious event of the week, 47SOUL and Cairo Liberation Front could produce some of the festival’s most rousing moments. All of the former’s four members have their roots in Palestine, and are on a mission to update that region’s dabke street dance for the 21st century. The result: utterly contagious syncopated beats, dirty synth lines and chants which the typically raucous Scala crowd will have no trouble hooking themselves onto. On the punkier side of the political spectrum, Formation’s new album launch at XOYO is your best bet of the week for an indie fix. ***The Convergence Attendee who just wants some house music plsThe week will be going out on a high with another album launch, this time DJ Jacques Greene’s Feel Infinite at Brixton Electric. The slow build of the title track in particular should bring about some good old-fashioned roof-raising: I’m getting seriously itchy feet writing this over breakfast on a Monday morning. But the night won’t just be a steady flow of housey goodness: as ever, the spirit of Convergence means there are a couple of twists injected into proceedings. Earlier on Yves Tumor is set to shake things up with his Jekyll and Hyde blend of soulful samples and bleak, abrasive beats. I’m guessing the key to this show will be not to get complacent (I’ll be donning my Dean Blunt battle mask). Don’t be lulled into a false sense of security by the likes of the dreamy ‘The Feeling When You Walk Away’: next thing you know you’ll be forced to confront all manner of demons listening to ‘Serpent 1’ and ‘Serpent 2’. Easing the night back into Saturday feel-good territory is Lone, in collaboration with Konx-om-Pax, whose colour-splashed visuals will nurse any trauma away. Convergence is truly spoiling us for choice this year. With so many events vying for attention, I’m feeling close to the last-hour tantrums of childhood trips to Blackpool Pleasure Beach: in complete denial that there isn’t enough time to ride The Crazy Mouse and The River Caves (Shobaleader One and Daniel Lanois slotting into that analogy in my mind’s eye there). Have a scour of the schedule for yourself – Actress, Austra and Radiophonic Workshop ft Andrew Weatherall are all lurking, alongside the always enlightening Sessions programme – and we’ll see you for a debrief on the Electric dancefloor. ***COMPETITION!We have two pairs of tickets up for grabs to two of Convergence 2017’s most promising events: one pair for Daniel Lanois, Nosaj Thing, Tyondai Braxton and Dawn of Midi at KOKO, and the other for the big closing party at Brixton Electric, featuring Lone, Konx-om-Pax, Pional, Yves Tumor and headliner Jacques Greene. To enter, all you need to do is send an email marked CONVERGENCE 2017 to info@the-monitors.com, with your contact details and whether you want tickets to Daniel Lanois, Jacques Greene or both. We’ll select the winners at the beginning of next week, but if you aren’t the one of the lucky recipients then fear not, because tickets to all Convergence events are available here. Good luck! Competition terms and conditions: Entrants must be over 18 years of age. Prize is either one pair of tickets to Daniel Lanois, Nosaj Thing, Tyondai Braxton and Dawn of Midi at KOKO at KOKO on March 22nd or one pair of tickets to the Convergence closing party at Electric Brixton on March 25th. Transport expenses are not included and no alternative prize is available. By entering you are giving your permission to be added to The Monitors mailing list, from which you are free to unsubscribe at any point (although you probably won’t because our irregular but enlightening emails are highly addictive). The winner will be drawn and announced on March 20th. Thanks for entering.